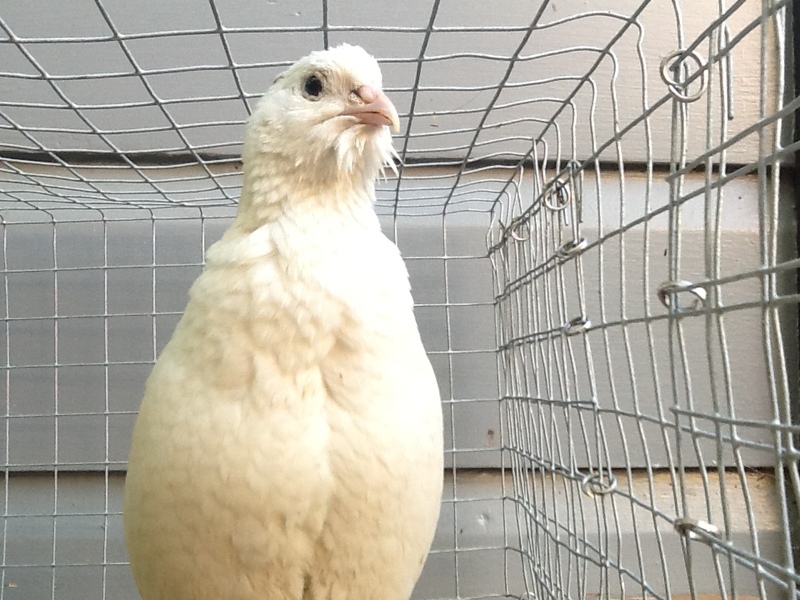 It is now your opportunity to share in this development of purebred WHITE QUAIL BREEDING GROUPS or WHITE HATCHING EGGS. These birds are on average somewhat larger than the other Strains, but in New Zealand show a lot of variation and poor quality with many birds obviously highly inbred with resultant loss of vitality and size. White plumed with the odd dark spot. Birds are well adapted to cage conditions. 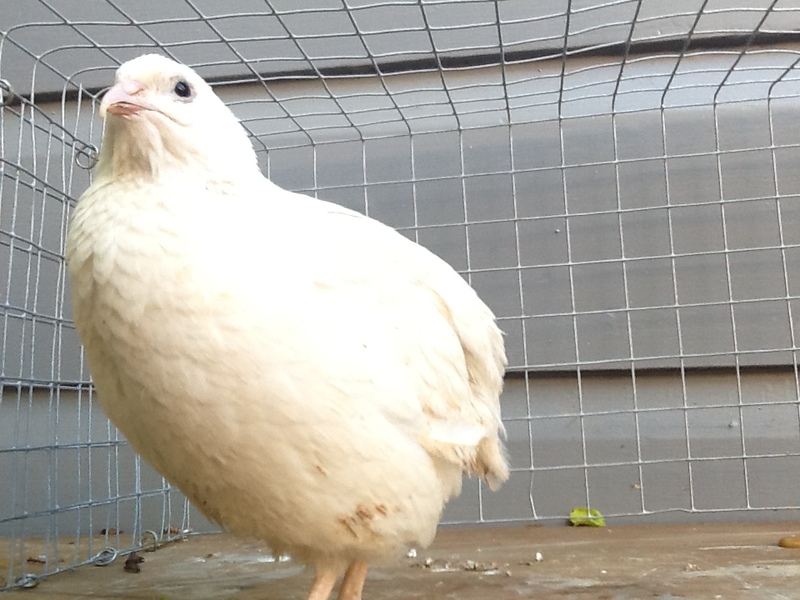 The White Quail is both good for meat and egg production and has been developed at A & M Texas University as a real Dual Purpose bird. Also in the UK a White variant has been bred that is smaller than the USA variety. I suspect that initially both Strains were present in New Zealand, but due to small numbers have been crossed and highly inbred. These quail are poor flyers and has never been bred for release and hunting. I am selecting for uniformity, vitality and size at present, but unlike many International Breeders do not place too much emphasis on size only. I think it dangerous to go for larger and larger birds all the time like the American many a time do. 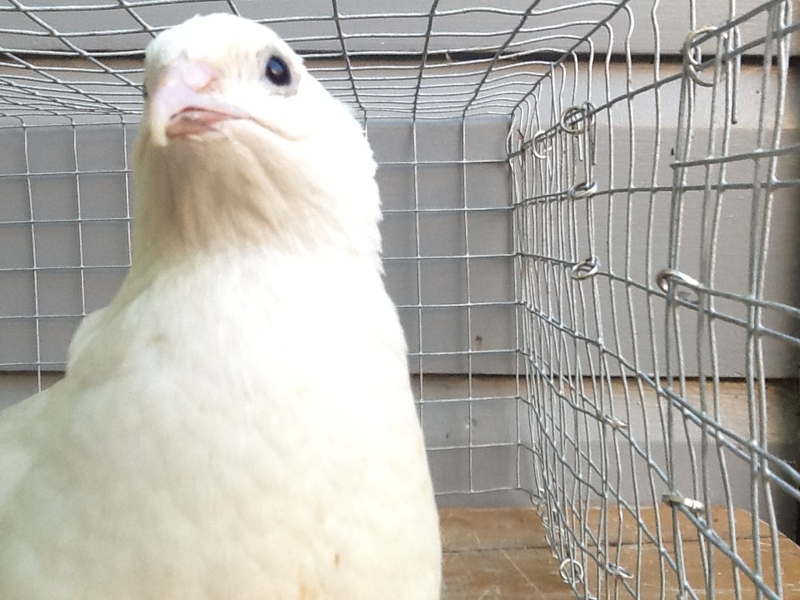 At present there are a few true breeding mutations of the Coturnix Quail, of which the WHITE is one. It is my intention to keep this strain pure and not mix it with other strains such as the Golden Italian, Tibetans, and Faroahs (Wild Coloured Quail) all which I also breed. Each of these strains has specific characteristics such as plumage, conformation and size, temperament, egg and meat production ability, etc. These characteristics I intend to maintain and develop for each strain within the limitations provided by the limited genetic material available. Careful responsible breeding and strenuous selection would result in birds with as low an inbreeding co-efficient as possible and hopefully a more disease resistant, highly fertile, healthy, happy, beautiful and productive quail at the end of the day. With the project in its infancy it is not possible to guarantee 100 % true colouring from eggs. 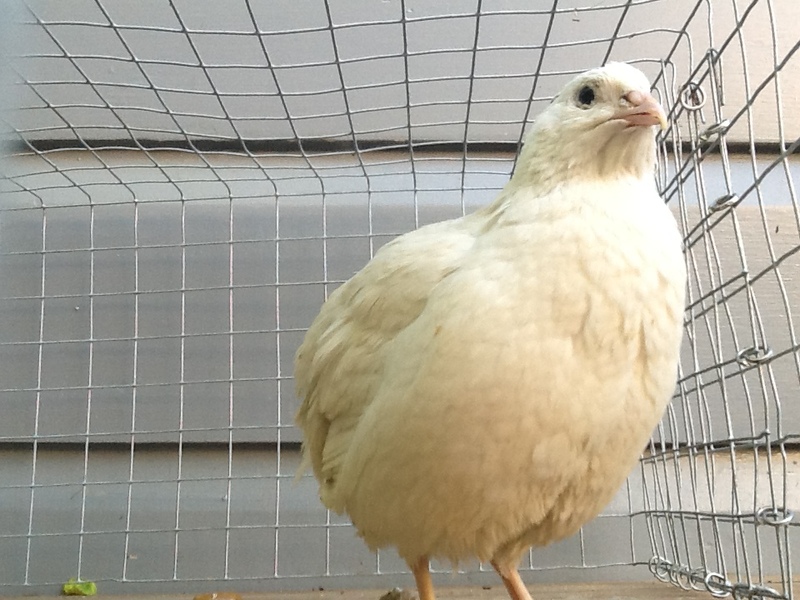 At present I am searching for more White Breeding Stock of good quality.